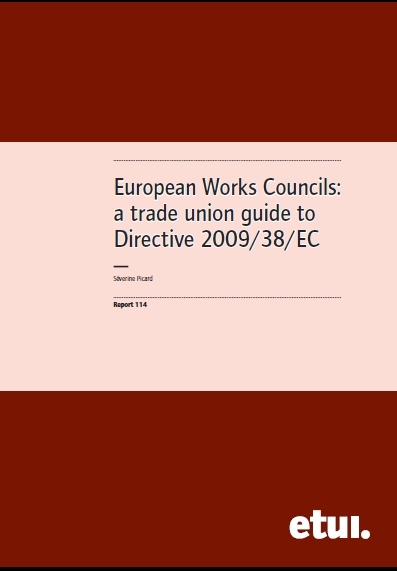 The workshop was opened by Wolfgang Kowalsky from the ETUC giving an overview of the current political context in the run-up to the expected publication of an implementation study on the EWC Recast Directive and the official review process of this legislation. 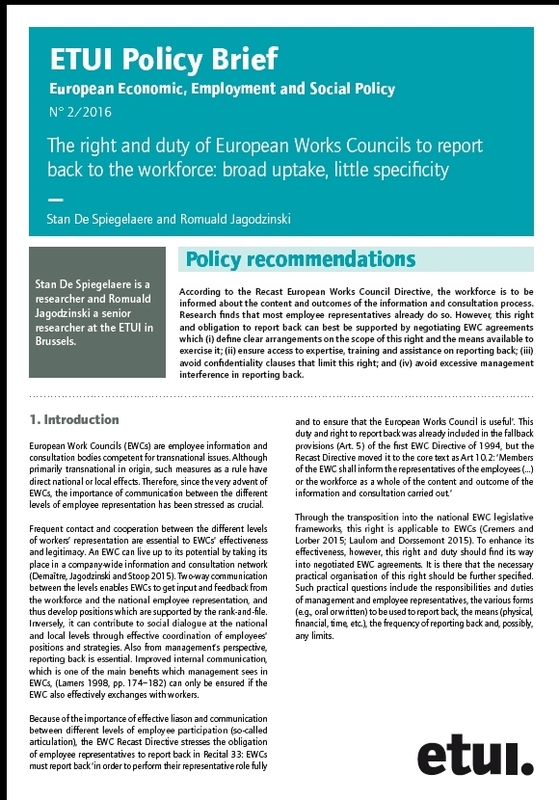 the number of EWCs - has there been the boost in population of EWCs the Recast Directive was aiming for? 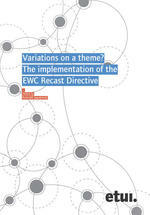 EWCs as collective interest representation: what importance for articulation, what means needed, what challenges? 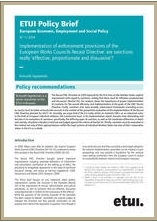 Are EWCs equipped and capable of meeting the challenge? 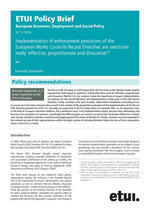 involvement of EWCs into transnational company agreements - a chance, threat or trap for EWCs? 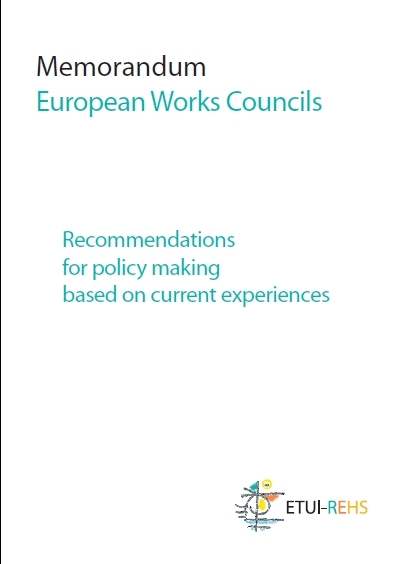 collective identity of EWCs as the foundation of effective functioning. Each panel sparked off rich discussion and lively exchange among the participants. The ETUI would like to thank all participants personally and their institutions for making it possible to meet during this event: Hans Boeckler Stiftung, AIAS Amsterdam, Universite Catholique de Louvain (BE), University of Manchester (UK), University of Cumbria (Portugal), CNRS (French National Center for Scientific Research), The Dublin Foundation (Eurofound), Fondazione Marco Biaggi.